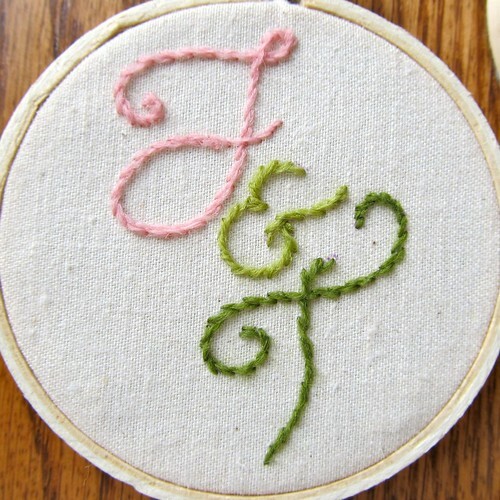 Remember the embroidery I made for my friend's wedding? 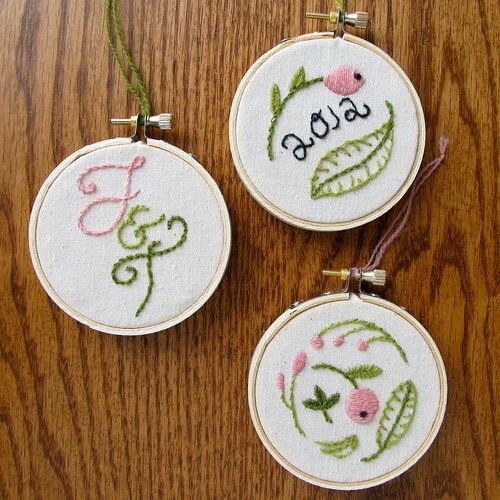 Well, for Christmas I made her ornaments based on that wedding embroidery which was based on her wedding invitation which was based on, just kidding, which was made by Kelly Thorn. I really love working with the Appleton Crewel wool! Aren't the colors great?! I've been practicing my stitches, but I don't have anything to show for it yet. These ornaments are getting me inspired! Thanks for the tip on the crewel wool. 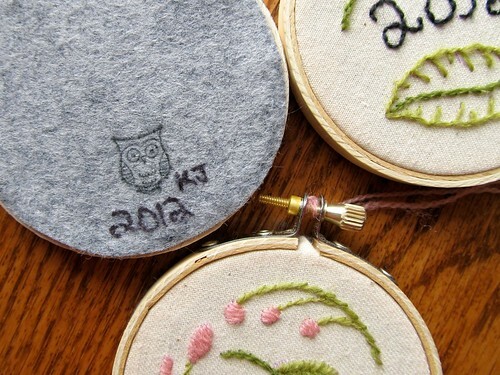 What wonderful embroidery, Kate. 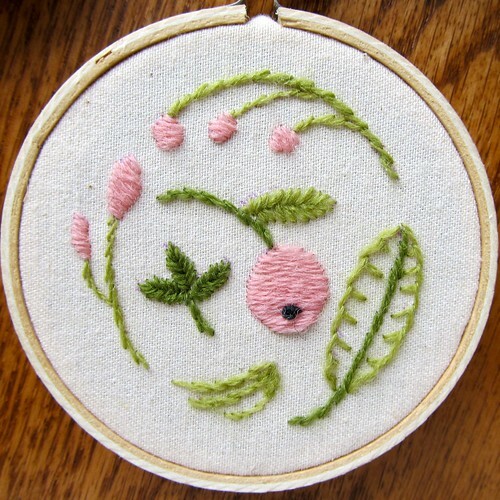 I love pink and green together. Your varied crafting gifts are never-ending. You have been so busy and so creative! Is there anyway you can change things you we don't have to click on a link to see all of a post? It makes viewing your blog somewhat awkward. It's nicer and easier to manage if you can see the whole post (or more) at once, which is the usual and better format. 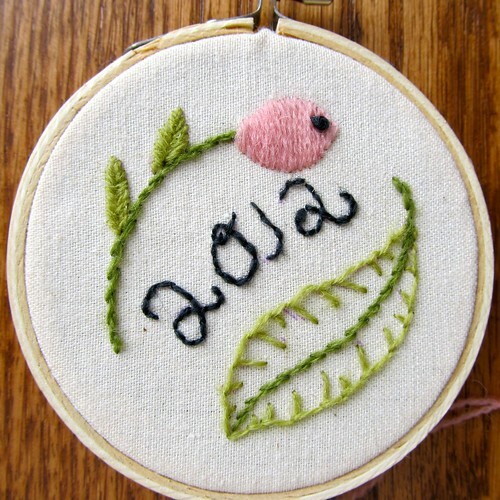 Your embroidery is very pretty though. Thank you for your feedback, I will certainly think about it! I have it set up this way because it's the way I prefer to view some websites. When visiting a new site I often like to see a snapshot of the different posts and have the option of clicking on one that I'd like to read, rather than scrolling through a long post that has no interest to me. I just didn't want my readers to have to scroll through a really long post that was boring to them! These are really pretty, I love the colours. Thank you so much! I really like green and pink together!